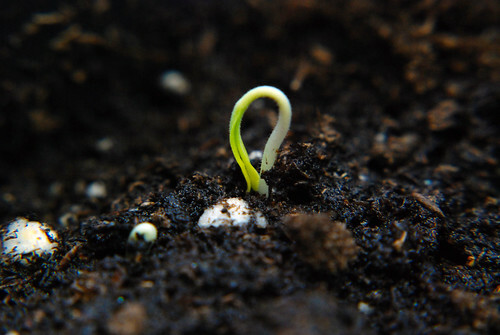 They're sprouting! They're sprouting! And I took the opportunity to try out my new macro lens. 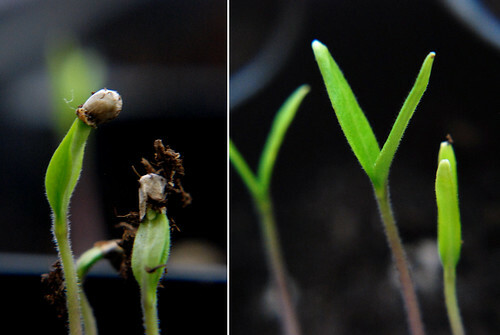 It's kind of fun to get a close up of a little seedling unfolding and shrugging off it's tiny shell. Spring has sprung on my kitchen counter. Good thing, too. They are predicting up to 10 inches of snow tonight. Will this winter never end?